There are people that think that they are creative, and then there are creatives like Drew Kennedy. Drew is a creative that creates, and not just music. This prose connoisseur has 8 albums to his name, a novel, and I'm sure binders of poetry. Armed with nothing but a can do attitude, Drew learned how to write and play songs all by himself. Years later, frequent trips from Texas to Nashville, and co-writes with other celebrated song-writers like Lori McKenna, Drew made an album that is for his generation. "A record that I want to listen to, right now...", At Home In The Big Lonesome produced by Dave Brainard, is really something to be proud of. This record was recorded under a pretty stressful situation though. We talk about the record, some of my personal favorite song's penned by Drew, and removing your ego from art. We didn't forget about Texas or it's music. Is there difference between the Texas artist and the Nashville song-writer? 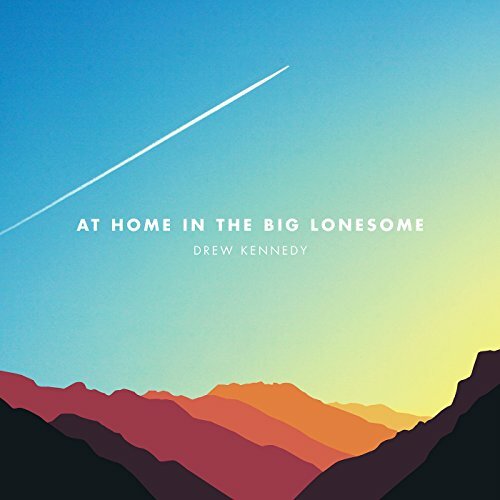 For everything Drew, visit www.drewkennedymusic.com and follow him @drewkennedy.